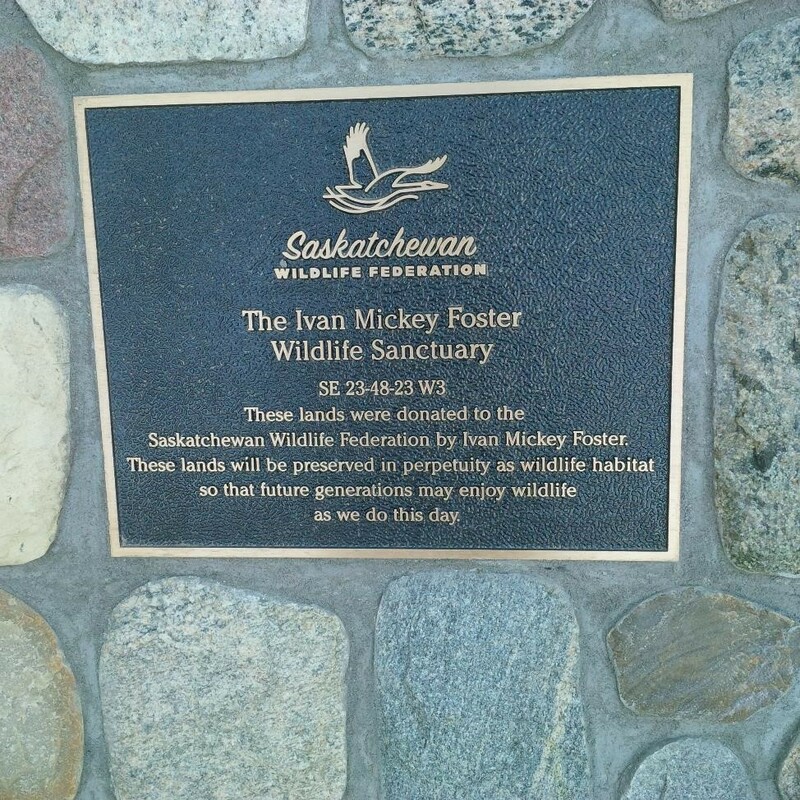 The Foster property was donated to the Saskatchewan Wildlife Federation by the late Ivan Mickey Foster in 2017. 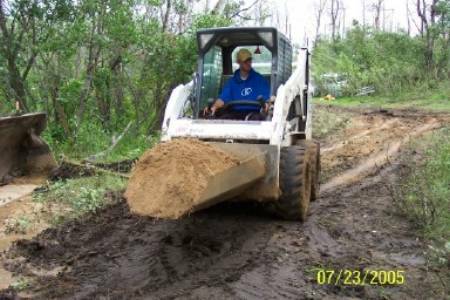 This property will be preserved as wildlife habitat so that future generations may enjoy wildlife as we do today. on site preparing the property for the cairn. 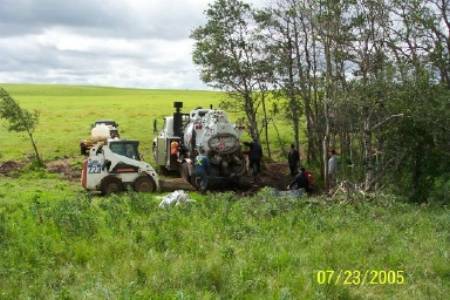 Darren Newberry and Doug Gibson, from the Saskatchewan Wildlife Federation Head Office, were on site August 3oth 2017 to assist in setting the cairn, touring the property and viewing the property with the SWF camera mounted drone. Cairn placed in memory of Ivan Mickey Foster on August 30th, 2017. 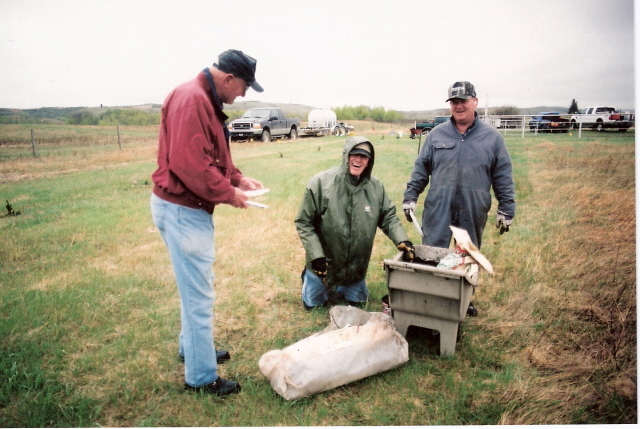 From left to right: Garry Cunningham, Ellen Hall (Sister of Mickey), Ken Hall, & Dwayne Davison. Cairn placed in memory of Ivan Mickey Foster on August 30th, 2017. 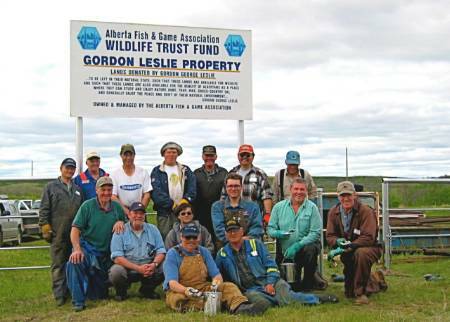 The Gordon Leslie Property was bequeathed to the Alberta Fish and Game Association in 2001 which consists of 6 quarters of land. 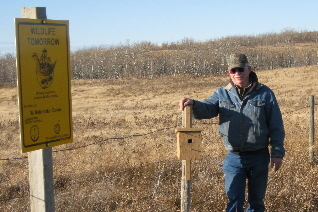 This property is NE of Marwayne and was bequeathed by Gordon Leslie “for all outdoor enthusiasts to enjoy and to preserve natural habitat for future generations.” The Lloydminster and District Fish and Game Association was appointed custodians of this land and Stan Daniel is the clubs current coordinator of the habitat activities. 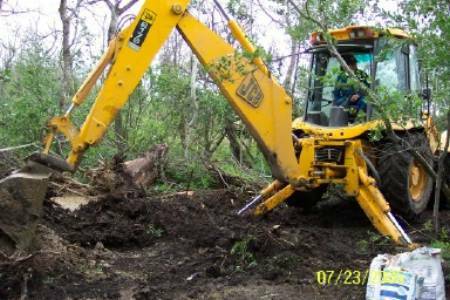 Cleaning up the parking lot of the Gordon Leslie Property. Water wells needed to be abandoned and the area reclaimed . 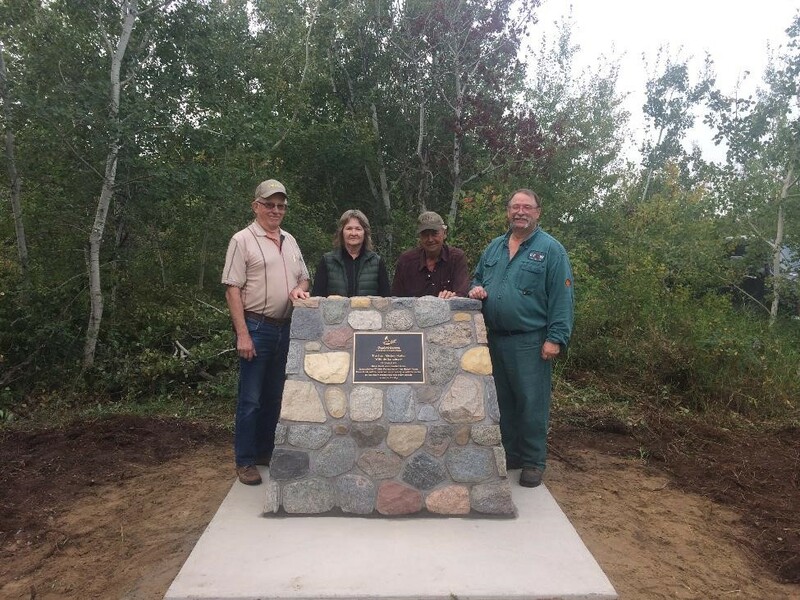 Thank you to Stan Daniel and all his volunteers who work so hard to maintain this beautiful habitat land. 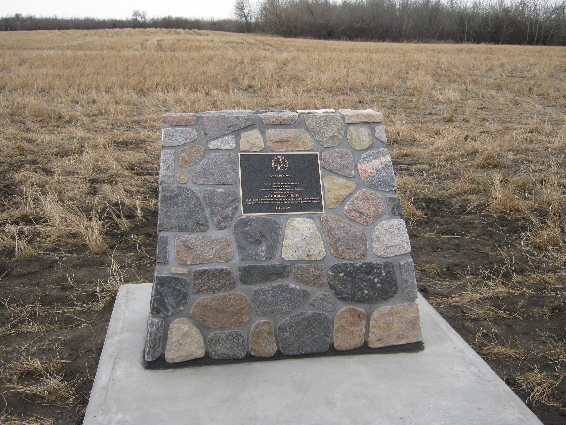 Bert Smith Ddnated Habitat Land; cairn installed April, 2012. 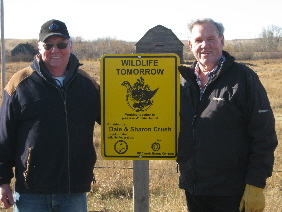 Larry Chambers & Lorne Topley installing the sign at the Dale and Sharon Crush donated Habitat Land. 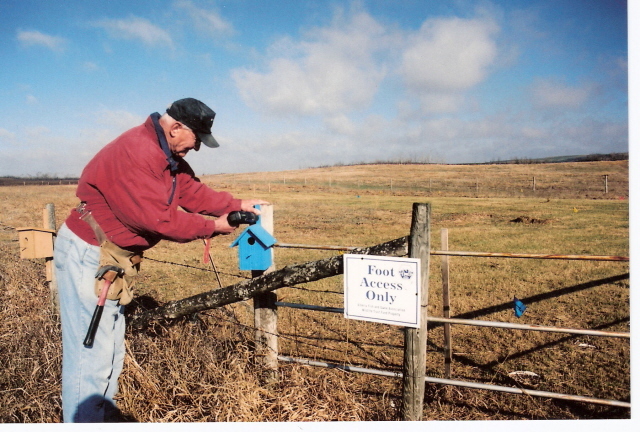 Garry Cunningham installing the signage at the W. Kolenoski donated Habitat Land. Walt Back putting up one of the many bird houses he has made and donated. Enjoy our property, but please, foot access only. 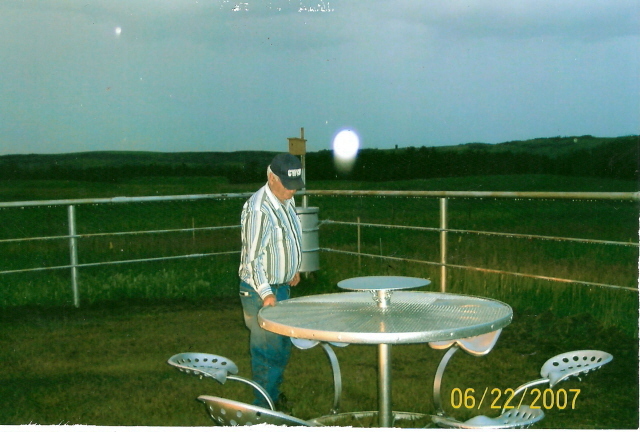 Picnic table made and donated by Darrell Bacon. 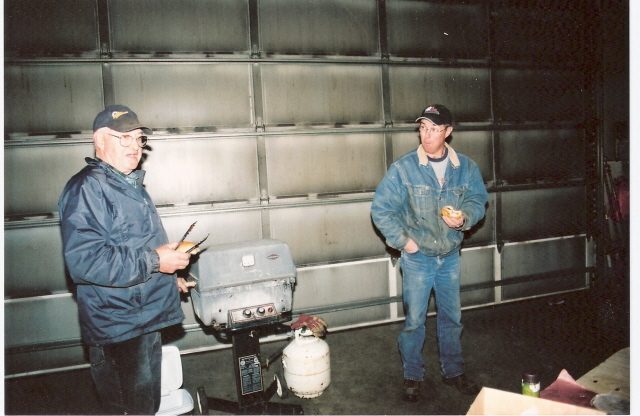 Stan Daniel feeding his hungry workers in Darrell Bacon's shop. 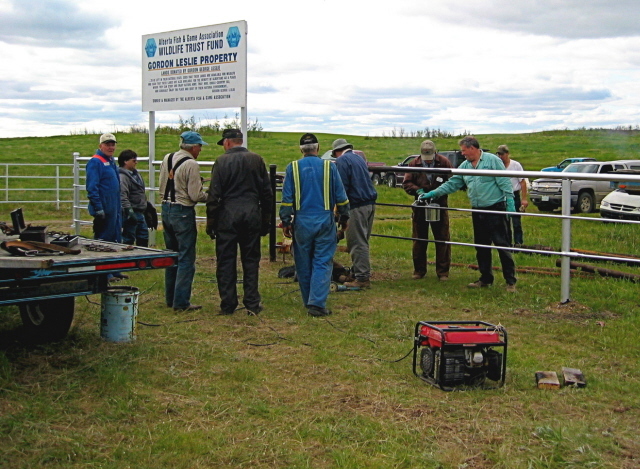 Preparing to plant trees in May, 2007. 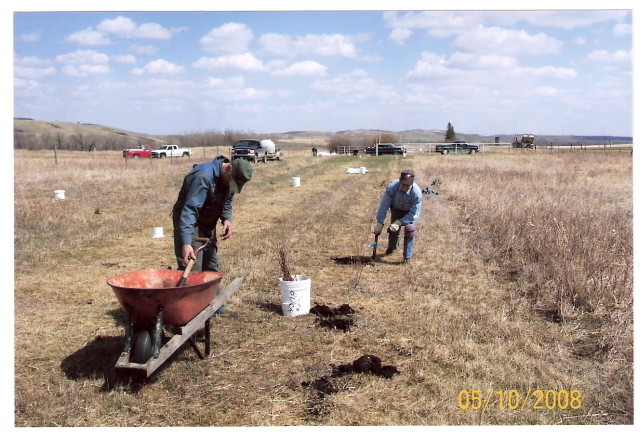 We planted Ash, Spruce, Willow and Chokecherry trees. Having fun on a cold, windy, rainy day! 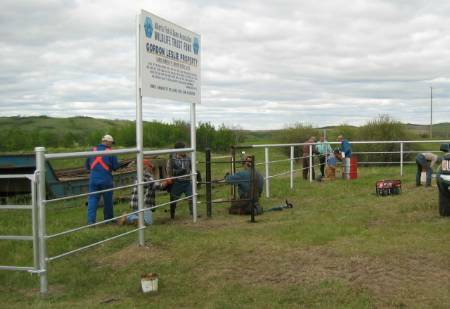 We planted Chokecherry, Sea Buckthorn and Colorado Spruce in May, 2008. 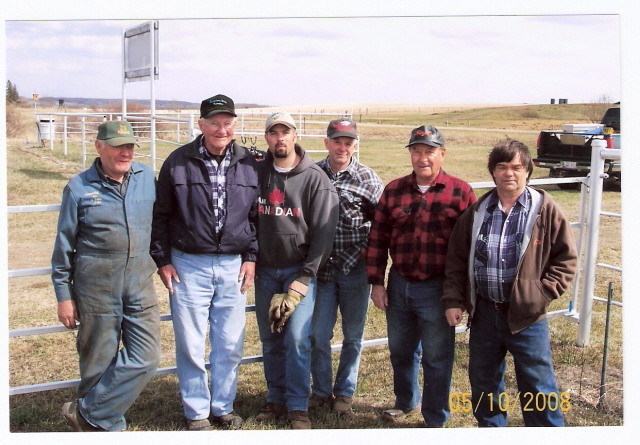 Planters: Dwain Franklin, Walt Backer, Regan Mallet, Gary Mallet, Earl Swift, Adrian Beauvais. Missing from picture: Stuart Keys & Stan Daniel. 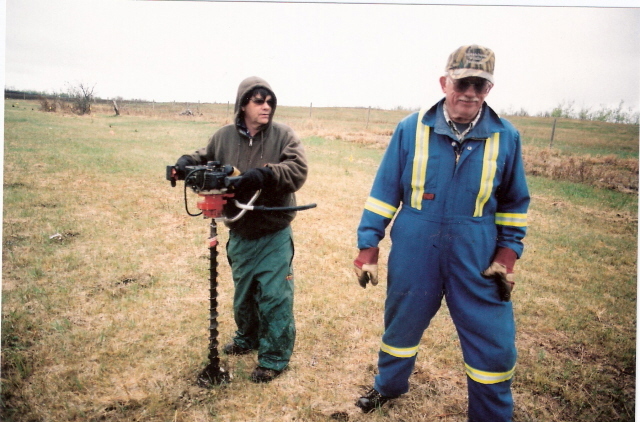 Garry Mallet and Dwain Franklin preparing to plant trees. 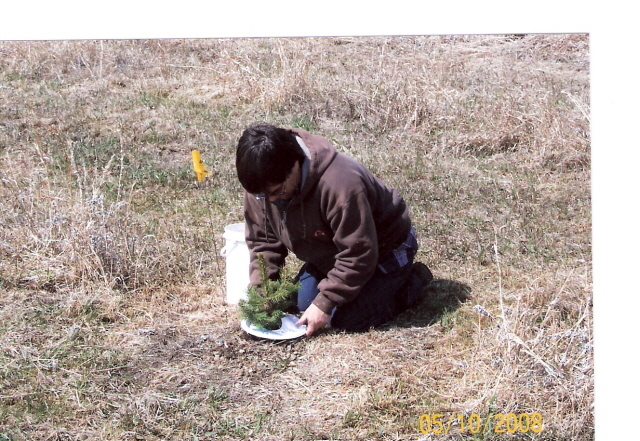 Adrian Beauvais planting a tree.